Departure from River city Pier. 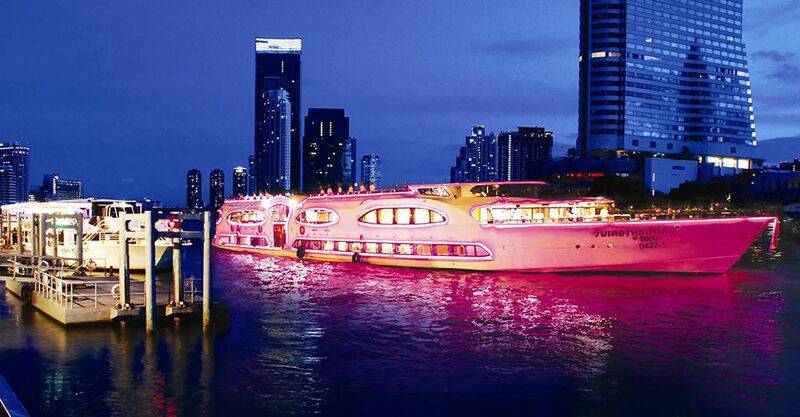 While you are sipping your drinks enjoy the beautiful night scenery on both side of the ChaoPhraya River in our cruise Our captain will be leading the boat up to pinklao Bridge and then, you will have an unique opportunity to get some snapshot of the two most wonderful night spot in Bangkok, the Wat Arun – The Temple of Dawn and the Grand Palace & Wat Pra Kaew – The Temple of Emeral Buddha. After take a pictures of The Temple of Dawn and Grand Palace for your memory. Return up the river to Taksin Bridge. Viewing of color light decoration on the river side. 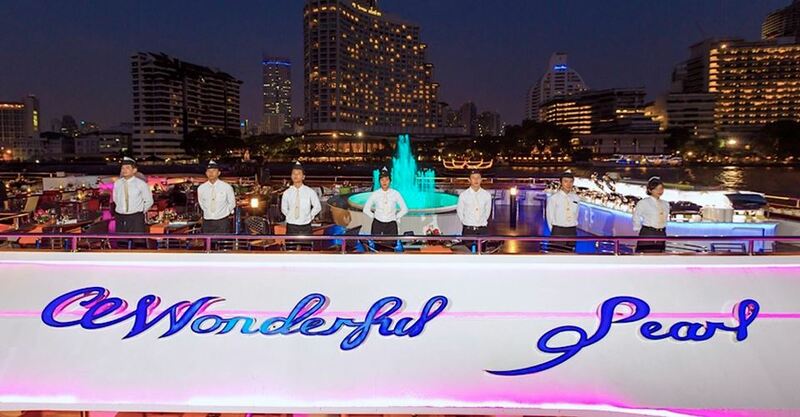 Time for your dinner under the moonlight “Live Music” in a romantic atmosphere and Thai Classical Dance Show. Delight the Thai & International cuisine in a superb buffet and Sushi Conner. Arrive at River City Pier. 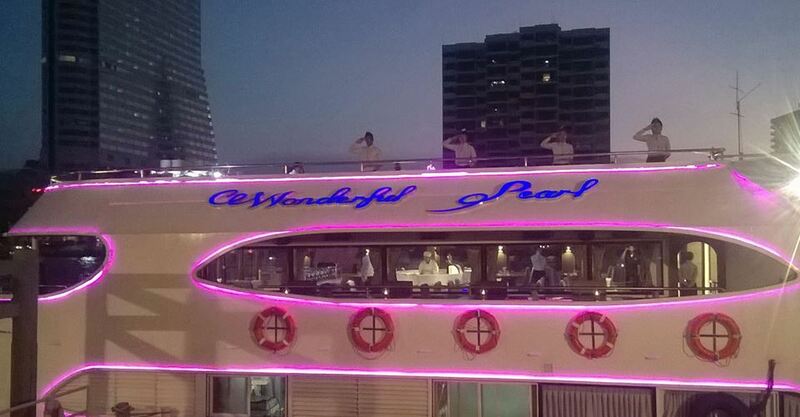 and We hope you would have enjoyed with our Amazing Dinner Cruise. Thank you very much for your visit. ** Price is included : snack, Thai & International Buffet Dinner.